Bbbbbut I thought Rice was a shining example of how the transfer and scholarship rules weren't actually damning to non-P5 privates and how only Tulane was struggling with it. It takes prescience and self awareness to leave before they show you the door. Few know when. Or that an 82 year old coach might have lost a bit off his fastball? Pierce used to be rumored as Graham's replacement. For the reason Pete notes, I am sure Pierce will be happy to stay in Austin. 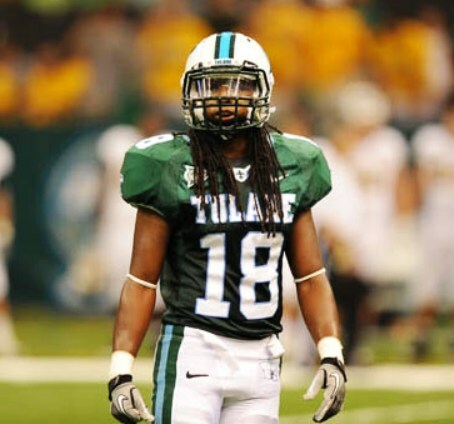 I don't think anyone ever said that only Tulane was struggling with, just that we are struggling with it the most. Rice has made the NCAA Tournament 23 years in a row. Their last 10 years or so were good but the 10 or so before that were great. So they've suffered from it but not nearly as badly as we have and maybe as ml pointed out, it has something to do with an 80 year old head coach. 82-year-old Wayne Graham, @RiceBaseball coach since 1991, is in the final year of his contract and has no plans to retire if he's not offered a new deal: "My 1st choice would always be Rice, but if they retire me here I'll be open for suggestion. I like coaching"
D1 baseball says Graham open to taking a job as pitching coach somewhere. "Graham’s time with the Owls will soon be over, but perhaps his coaching career as a whole isn’t quite finished. The long-time Rice skipper told us last week he’d be open to being a pitching coach should Rice let him go. “You know, I like coaching pitching,” he said. “I was the pitching coach all those years at San Jacinto (Texas) CC and I was heavily involved with our pitchers on that 2003 team,” he said. “It would be weird for sure, but I’ve had my hand on the pitching here for years, too. I can see raw material in pitchers, but you got to develop them. You got to be able to see it, and I think I still see it." As a drop in consultant, maybe. A full time coach in any capacity, I’d pass. Know when to fold ‘em, Coach. Last edited by TUPF on Thu Apr 26, 2018 7:30 am, edited 1 time in total. As a drop in consultant, maybe. A full time coach in any capacity, I’d pass. No when to fold ‘em, Coach. We’d be lucky to have him as a head coach, much less a pitching coach. He’s way better than what we have. I understand your sentiment and respectfully disagree, no matter how inconsistently our own coach is doIng. I admire the guy’s body of work as much as the next guy. He’s a Hall of Famer for sure but I am a firm believer that there is an expiration date on anyone’s ability to do all facets of a job in a changing world. That’s especially true for someone older than my father. It is a rare person who gets out at the top of his game. I’d much rather see a player or coach retire on his own terms gracefully than have him point out how he did a great job 15 years ago. Keep your dignity. Don’t be a Johnny Unitas as a third stringer on the bench. That is all. Rice has a terrible reputation for ruining pitcher's arms...I wonder how much that has contributed to their drop off as awareness of such things has greatly increased. I'd pass on Graham in any kind of official capacity for that reason. First we’d be lucky to have him as head coach, now he’d be an upgrade of some sort over what we have now. Considering the source that doesn’t sound like we’d be very lucky. He wouldn’t be my 1st or 2nd choice as head coach, obviously, because of his age but I bet he’d do a good job. I’m not really sure what your point is though. He’d definitely be an upgrade over our pitching coach. Not an upgrade of some sort, a huge upgrade. There was no contradiction or backing down in my second post. Just trying to keep my disagreement short and respectful but then you had to come in and be a dbag. Coaching ability aside, his age has been a recruiting liability for some time. That's the biggest problem - talent. Regarding ruining pitchers' arms, that's a Keith Law campaign and has become a bit of a running joke. This (along with having a coach born post-WWII) will greatly help Rice's baseball team, and is an example of the type of university commitment we can't afford to make due to difference in endowment.